Inspired by an extended stay on the continent as a young legislator, Representative Leland poured his energy into focusing attention on a disastrous East African famine and raising funds for relief efforts. Leland worked tirelessly as chairman of the House Select Committee on Hunger, which he had lobbied Congress to create. Responding to critics who felt he should focus on domestic poverty first, Leland retorted, "I am as much of a citizen of this world as I am of this country. To hell with those people who are critical of what I am able to do to help save people's lives. I don't mean to sound hokey, but I grew up on the Christian ethic which says we are supposed to help the least of our brothers. "1 This statement encapsulated Leland's career and life goals. He became a martyr for the cause of eradicating world hunger, perishing in a plane crash on a humanitarian mission to transport supplies to an Ethiopian refugee camp. George Thomas (Mickey) Leland was born in Lubbock, Texas, on November 27, 1944, to Alice Rains.2 It was Leland's maternal grandfather who nicknamed him "Mickey." Shortly after Leland's birth, his parents separated. Alice Rains moved with her two sons, Mickey and Gaston, to a poor section of Houston, where she worked as a short–order cook. Rains put herself through school and became a teacher. Mickey Leland graduated from Phyllis Wheatley High School in Houston in 1963 and attended Houston's Texas Southern University. Earning his degree in pharmacy in 1970, Leland worked as an instructor of clinical pharmacy at Texas Southern before taking a job as a pharmacist. He also served with several university organizations, setting up free clinics and other aid for the Houston–area poor. After gathering 258 cosponsors and the support of 60 national organizations, Leland realized his goal in 1984 of creating a congressional committee to examine global hunger and poverty.19 Leland's Hunger Committee resolution passed on February 22 by a vote of 309 to 78.20 He was appointed the first chairman of the Temporary Select Committee on Hunger in the 98th Congress (1983–1985). Modeled after a similar panel (the Committee on Children, Youth and Families), the Hunger Committee studied the effects of domestic and international hunger and poverty. In 1984, partially aided by publicity from American and British musicians, Leland's committee pushed through Congress an aid package for famine relief of nearly $800 million.21 Though successful in raising awareness about hunger, Leland complained of his congressional colleagues' lack of interest. Leland traveled frequently to Africa, often guiding Members and their staffs to refugee camps so they could witness firsthand how aid money was being used in Africa. On August 7, 1989, he took advantage of the congressional summer recess to check on the progress of a refugee camp near the Sudanese–Ethiopian border. Shortly after his plane took off from Addis Ababa, it crashed over a mountainous region in Ethiopia while navigating a storm. All 15 people aboard were killed, including Leland and three congressional aides. Out of mutual respect for Leland, the United States and Ethiopia temporarily repaired their strained diplomatic relations, and Ethiopian military leader Mengistu Haile Mariam allowed American military spy planes to search for Leland's downed aircraft.22 The U.S. military discovered the wreckage after seven days of searching, and a congressional delegation accompanied Leland's remains to Texas for burial. Representative Leland was widely eulogized. Visitors poured into his Capitol Hill office to offer their condolences. Staff in the neighboring office occupied by Representative George Crockett of Michigan helped field the overwhelming number of phone calls.23 Communities touched by Leland were quick to honor him: The CBC renamed its humanitarian award for him in 1989, Houston International Airport named its largest terminal for him, and the National Association for the Advancement of Colored People sponsored a project to plant trees in Africa in his name.24 The tragedy of Leland's death was compounded when Alison Leland gave birth in January 1990 to premature twin sons, Cameron George and Austin Mickey, five months after her husband's death. Democratic leaders in the House led a fundraiser to collect donations for Leland's three children. Alison Leland declined an offer to run for her husband's vacant House seat. With her support, Houston–area legislator Craig Washington succeeded Leland in the December 9 special election. Without Leland's forceful support and leadership, the Select Committee on Hunger was eventually eliminated in the 103rd Congress (1993–1995). 1Lisa Belkin, "Representative Mickey Leland, 44, Dies in Crash," 14 August 1989, New York Times: D9. 3Stephen Chapman, "Mickey Leland: Good Intentions, Serious Errors," 17 August 1989, Chicago Tribune: 29C. 4Politics in America, 1984 (Washington, DC: Congressional Quarterly Inc., 1983): 1495. 5Shirley Washington, Outstanding African Americans of Congress (Washington, DC: United States Capitol Historical Society, 1998): 56. 6Belkin, "Representative Mickey Leland, 44, Dies in Crash." 7Molly Ivins, "Constitution Time Again in Texas," 20 January 1974, Washington Post: C3. 8Almanac of American Politics, 1986 (Washington, DC: National Journal Inc., 1985): 1327. 9Politics in America, 1982 (Washington, DC: Congressional Quarterly Inc., 1981): 1191. 10"Election Statistics, 1920 to Present," available at http://clerk.house.gov/member_info/election.aspx. 11Washington, Outstanding African Americans of Congress: 57. 12Congressional Record, House, 97th Cong., 1st sess. (5 October 1981): 23187. 13"Mickey Leland," Contemporary Black Biography, Volume 2 (Detroit: Gale Research Inc., 1992). 14Jacqueline Trescott, "Leland and the War on Hunger," 27 September 1985, Washington Post: B1. 15Washington, Outstanding African Americans of Congress: 57. 16Chapman, "Mickey Leland: Good Intentions, Serious Errors." 17Lori Rodriguez, "Leland's Legacy In Need of Boost," 28 March 1992, Houston Chronicle: A25; "Select Committee on Hunger," in Garrison Nelson, Committees in the U.S. Congress, 1947 to 1992, Volume 2 (Washington, DC: Congressional Quarterly Press, 1994): 1035; Congressional Record, House, 98th Cong., 2nd sess. (22 February 1984): 2967–2968. 18Belkin, "Representative Mickey Leland, 44, Dies in Crash." 19Congressional Record, House, 98th Cong., 2nd sess. (22 February 1984): 2967; "Select Committee on Hunger," in Nelson, Committees in the U.S. Congress, 1947 to 1992, Volume 2: 1035. 20Congressional Record, House, 98th Cong., 2nd sess. (22 February 1984): 2986–2987. 21Washington, Outstanding African Americans of Congress: 57. 22Politics in America, 1986 (Washington, DC: Congressional Quarterly Inc., 1985): 1524. 23Richard L. Berke, "Friends and Relatives Mourn Texas Lawmaker," 14 August 1989, New York Times: A10. 24"NAACP Launches African Tree–Planting: To Honor Congressman Mickey Leland," 6 July 1991, Michigan Citizen: 2. Papers: 1970-1989, 653 boxes. The collection documents Mickey Leland's public service career as a Texas state representative and as a U.S. representative from Texas. Materials include correspondence, news clippings, artifacts, photographs, audio and video tapes, speeches, news releases, committee testimony, case work. Topics include health care rights for the poor, prison reform, police harassment and brutality, racial discrimination, affirmative action, budget discrimination in higher education, labor legislation, political election organization, infant mortality, minority rights in business, health education, parks and recreation for the indigent, apartheid and racial discrimination issues world-wide, third world development, emergency shelters for the homeless, nutrients for the malnourished, and food security for victims of hunger. A finding aid database is available in the repository. 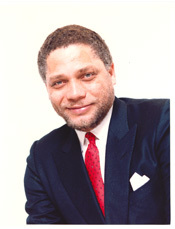 "George Thomas (Mickey) Leland" in Black Americans in Congress, 1870-2007. Prepared under the direction of the Committee on House Administration by the Office of History & Preservation, U.S. House of Representatives. Washington: Government Printing Office, 2008.